I am extremely disappointed by Royal Mail’s decision not to give British Gold medal Paralympic athletes equal treatment when it comes to producing stamps with pictures of successful athletes on them. To celebrate every gold medal that Team GB wins, Royal Mail has been painting a Postbox gold in the home town of athletes that win gold medals. It is welcome that this practise will also be carried out when an athlete in the Paralympic games wins a gold medal too. In addition, Royal Mail has been issuing special stamps with pictures of the winning gold medallists every time Team GB wins one. However, they will not be carrying out this practise for disabled athletes when they win gold medals. 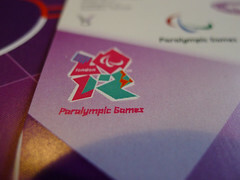 Instead, all Paralympics winners will feature across a series of six stamps. The reason cited for this is that it would be “logistically impossible” to have this equal treatment of Paralympic athletes as in Beijing, they won 42 gold medals over 10 days of competition. In a statement on the British Paralympics Association’s website, they say that they are “very pleased with the final plans” and the reason for not having gold medal stamps for Paralympians is “very good”. If it logistically impossible to provide equal treatment for all our gold medal winning athletes, then Royal Mail simply should not have printed stamps for any athletes. The Olympic and Paralympic Games should be seen as part of one London 2012 Games. It may just be stamps, but there is a bigger picture – it symbolises that there is still a long way to go in the struggle for disability equality. Posted on August 10, 2012 by Cllr Krupesh HiraniPosted in Disabled PeopleTagged 2012 Summer Olympics, British Olympic Association, British Paralympic Association, Gold medal, gold medals, gold postboxes, London 2012, Olympics, Paralympian, Paralympic, Paralympic Games, Paralympic Stamps, Royal Fail, Royal Mail. Next Next post: Stamps for every Paralympic Gold Medal will be issued!